Maremma Series 8x48 is a wood plank porcelain interior floor tile. Maremma emulates the natural wood grain making this tile the perfect option for those who are looking to emulate the real wood look but are looking for an affordable and durable substitution. This tile becomes slippery when wet. It has a matte finish. 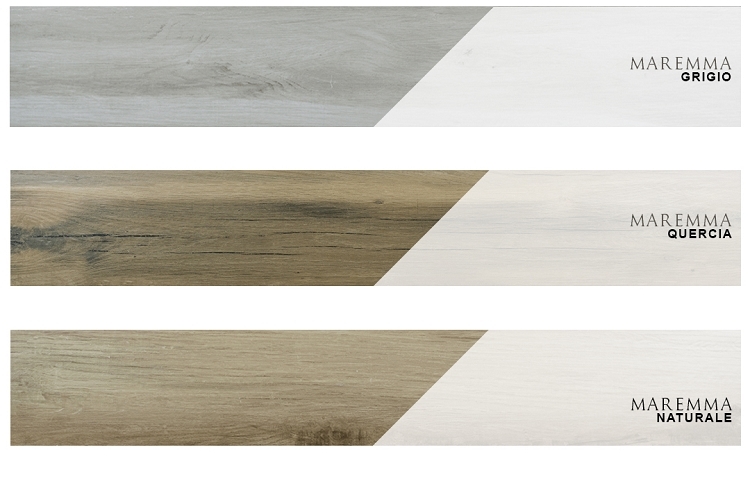 The colors of this easy-to-clean tile are Grigio (grey), Naturale (natural) and Quercia (oak) all with a dark grain.